Jypyä Pop (Turku, Finland) on 16 January 2019 in Lifestyle & Culture and Portfolio. Very nice contrasts between the red bricks and fresh white snow. looks great, you've captured a wonderful color contrast! wow...this is just beautiful !!!!! I can feel the silence . . 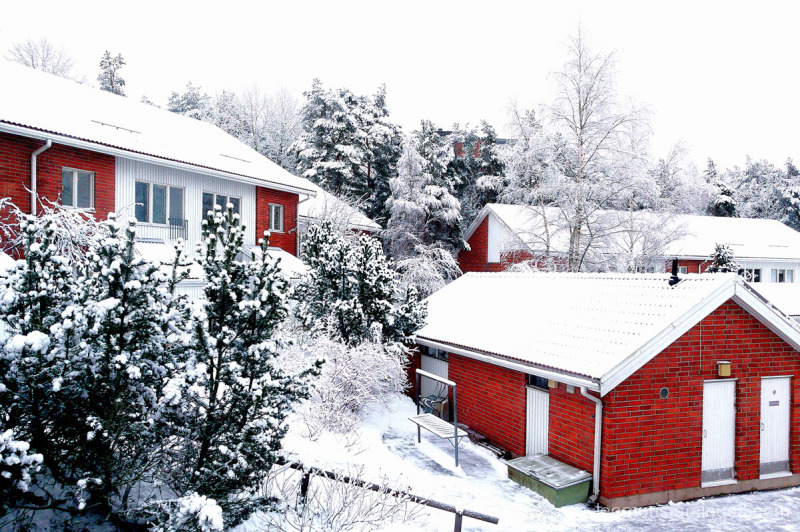 I like the red bricks in the white landscape ! a beautiful winter scene ! Red walls are really pretty in the snow !! Beautiful image with the contrast of this red bricks and snow. Beautiful contrast between the pristine fallen snow and the red brick buildings!! I love how the red pops against the lovely white snow. I can't tell if this is a selective color shot or natural colors, but the red and white look great. Magnifique ce contraste de couleurs . joli cliché. The red bricks pop nicely out of the white.